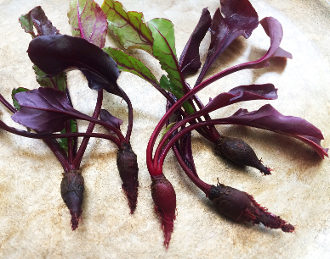 Dark red, tiny beets with dark burgundy & green leaves attached. Sweet & earthy beet taste. Can be eaten fresh or cooked lightly. Float on a creamy beet soup or add to a steak entree. Perfect for enhancing your Winter dishes.